The records of George L. Monk were donated to Dalhousie University Archives and Special Collections by his grandson, Edward Hollingum, in 1973. They were transferred to the Eastern Shore Archives on February 16, 2012. 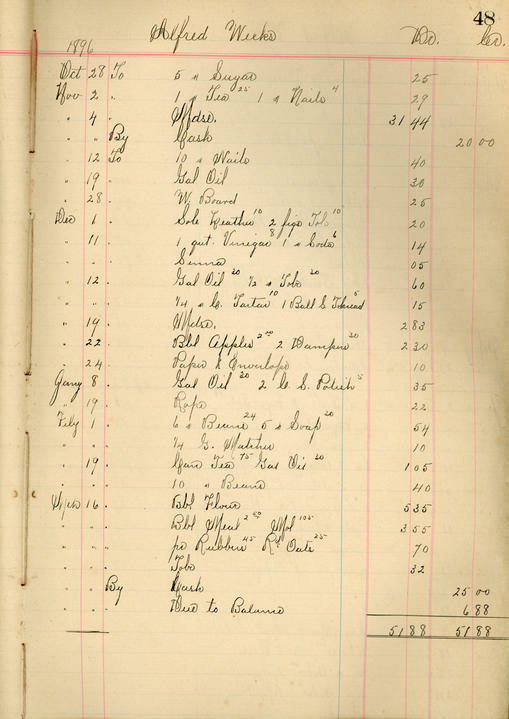 Fonds consists of records related to the business operations of George L. Monk, including both wholesale and retail activities. Records include receipts and invoices from business transactions with primarily Halifax-based wholesalers as well as correspondence and three account books. The leather and cardboard covers of the three extant ledgers, as well as their endpapers, were mouldy, and thus removed and discarded when the material was processed and re-housed. Marine Highway Historical Society (1984). The Gull’s Cry, p. 20.